It is amazing to see how much your baby can accomplish at a young age. From day to day your baby is learning and doing new things all the time. Just as your baby is making physical strides in their development, their brain is also progressing quickly. Everything they do, hear, and experience makes an impact on how they learn. There are a multitude of abilities to expect during the next few months. 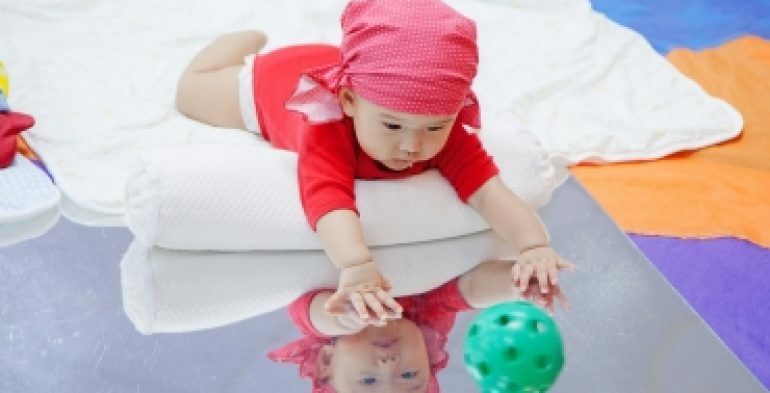 Prepare yourself for some big changes in how your baby perceives the world around them. From 6-9 months you will see some quite advanced accomplishments. Your baby will start to notice that they are in charge of what happens at times. All of those buttons on their toys that make noises and music happen finally make some sense to your baby. Your baby will start to get excited when they push buttons and see responses like music and lights. They may repeat the action over and over again, overjoyed at what they can do. Place a toy nearby and watch your baby make the effort to pick it up or bring it closer. They can also now cry or make gestures when they want something. Look out Mom and Dad, your baby is learning how to get your attention big time now! That cute face in the mirror might actually make sense to your little one sometime during this developmental period. While you cannot read your baby’s mind, you can see their new expressions and actions at this age while they look in the mirror. They may be more interested in the mirror or simply more delighted when you expose them to it. Try putting some fun hats or clothes on your baby so they can see the difference in the mirror. Let your baby make funny faces and talk to themselves in the mirror. Enjoy watching your baby discover themselves! Your baby is preparing to do more than one thing at a time now. Once they get good at crawling, expect that motion to be motivated by toy retrieval and other goals. 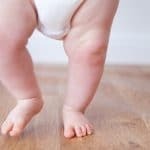 Instead of just focusing on the crawling or movement itself, your baby will start to figure out how to do more than one thing at once. Think about how you can walk and carry things at the same time. These new developments are the beginning of this ability. Before long you will have to make sure you keep the house increasingly baby safe for a little one on the move. There is no end to the excitement you will experience over the years of watching your baby grow and learn. You can help your baby learn and meet milestones by interacting with them in positive ways. Make everything a learning experience. Talk, sing, and count your way through the day. You can read to your baby and point out pictures in books. You will be surprised how quickly they learn to mimic the things you are teaching them. Babies from 6-9 months are getting ready to take on the world.